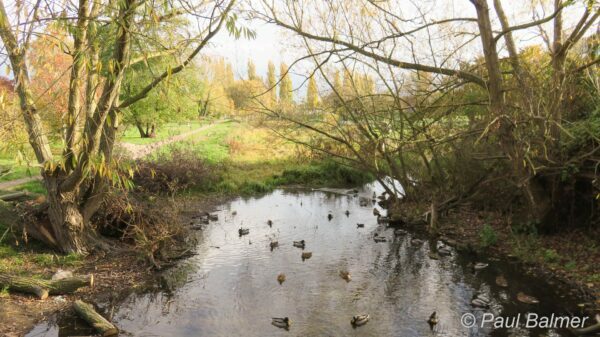 Looking along the Maidenhead Ditch towards the River Thames. The channel splits here, with the York Stream curving to the right and carrying all the water. The Moor Cut, which is normally dry, continues straight ahead. York Stream and Moor Cut run approximately parallel through Maidenhead and join up on the far side to form the Bray Cut which leads to its junction with the River Thames.